The Museum of Contemporary Art, London was founded in 1994 as a project based museum. 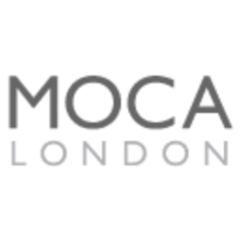 Our early exhibitions took place in many London sites and in 2004 MOCA opened a project space in South London in the Bellenden Renewal Area. MOCA has initiated a series of exhibitions that are locally based but global in focus. The Project Space exists to offer established and upcoming artists the possibility of making non-commercial work, developing the projects over various periods of time to suit both the artist and MOCA. Projects emerge when they are ready. This co-operative style of working means that the Project Space has no formal exhibition structure, and works are in situ when they are ready. Paul Abbott and Alex Roberts: What Hat am I Wearing Today? One of the hidden gems of Peckham! The 'Nature Morte' touring exhibition sounds and looks fantastic. I cannot wait to see it unveiled.